The Father of Computing Pardoned! long time coming, if you ask me. I am not going to debate the whole sexual orientation thing here. That is not my purpose today. Lord knows we have enough debate from both sides thanks to the spate of state supreme court rulings — oh, and that duck dynasty guy. Nope. The Alan Turing I know was a profound thinker and ahead of his time. I first learned of Turing as an undergrad CS major at FSU. My interest was in cryptology and Turing made some innovative contributions to cryptanalysis during WWII. It is a fascinating story and I recommend you check it out. The Code Book by Simon Singh gives a good account to Turing’s thought process and how he was able to think outside the box transforming a seemingly insurmountable problem into a surmountable one. My real appreciation of Turing’s genius was as a graduate student. At FSU, grads are required to take an academic reading and study group. We read seminal papers from the founding fathers of computer science and Alan Turing’s paper, “On Computable Numbers” was one of them. I was very surprised how easy the paper was to read (well, once you wrapped your head around the Gothic Germanic notations used for set theory, but Turing explains what the notations mean in subsequent paragraphs); Turing’s paper should be on any aspiring CS major’s reading list. Or pick up this book for a guided tour. The author does a terrific job breaking down the paper, paragraph by paragraph, and explaining the concepts. In the paper, Turing communicates his ideas to me as if I was a peer; not as a superior. Although he was already an accomplished mathematician by the time of his publication and worthy of respect in academia, Turing does not come off sounding like an academic know-it-all. I never felt like he talked down to me in his paper. His communication style struck me as, “I have something interesting to share. Let me tell you about it.” Turing was able to map the concept of computing to a mathematical system — set theory in this case — and then use the laws and rules of that system to demonstrate its power and its limitations. That’s right — computers can not solve all of our problems! However, had it not been for Turing’s work, and the work of others, such as John Von Neumann, the computing devices you and I depend on today may never have existed. This paper was published in 1936! The integrated circuit wasn’t even dreamt of yet. 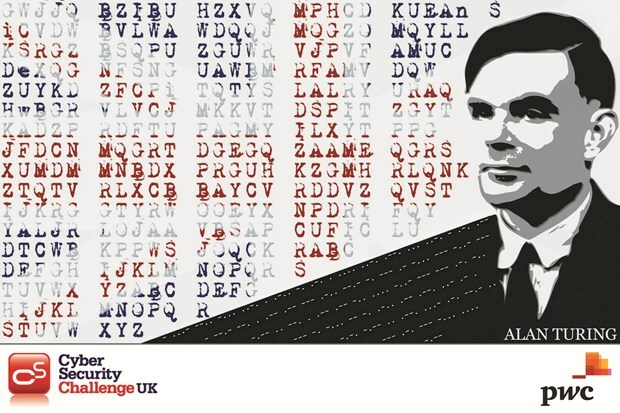 In 1952, Turing was convicted on indecency charges and subjected to treatments that would be considered discriminatory or unjust by today’s standards. Socially and scientifically, Alan Turing was a man ahead of his time. We can still learn a great deal from him. To me, an individual’s sexual orientation or background doesn’t matter. What matters is what you do. Deep inside ourselves, we all have, thanks to a complicated morass of environment and upbringing, beliefs on religion, sexuality, ignorance and prejudices. Deep down we are all flawed. But if we can rise above our internal strife and accomplish things to improve the human condition, then that is a win. History is full of examples of humans doing great good and inflicting great evil. I believe it is a matter of personal choice as to which occurs. Ironically, that is what separates us from the computer. We can break free from our programming.